Sea Recovery creates the perfect watermaker for large yachts by combining industrial strength production with space saving designs. 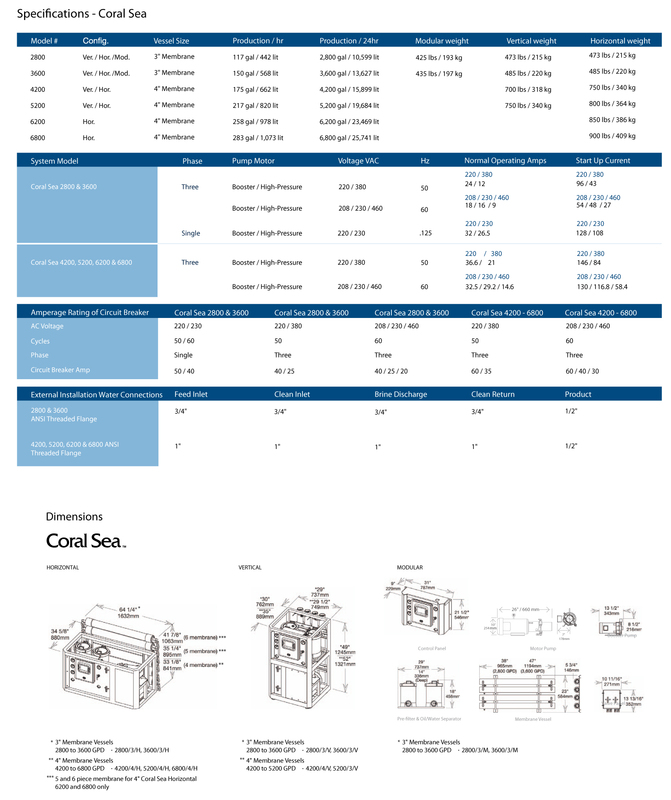 Coral Sea systems are not only installed in luxury yachts, but are also regularly found on oil rigs and commercial vessels around the world. The system's durable construction is the reason why it easily crosses over to both industries. The Coral Sea is also user friendly, featuring electronic monitoring, an LCD touchscreen, and the latest in watermaking technology.